Mike Vaccaro has been the lead sports columnist for The New York Post since November 2002. 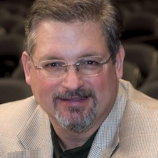 Previously, he has worked as a columnist at The Star-Ledger, Kansas City Star and Middletown Times Herald-Record. He was also sports editor of the Northwest Arkansas Times, and was appointed to that position in 1991. He has won over 50 writing awards since beginning his career in 1989 as a reporter for the Olean Times Herald, where his primary beat was St. Bonaventure University basketball. Mike is the author of EMPERORS AND IDIOTS: The Hundred Year Rivalry between the Yankees and Red Sox, From the Very Beginning to the End of the Curse. and of 1941: The Greatest Year in Sports. Mike and his wife, Leigh, live in Hillsdale, New Jersey with a manic Airedale terrier named Rigby and a bossy Westy terrier named Fiona. The New York Yankees. The Boston Red Sox. For a hundred years, no two teams have locked horns as fiercely or as frequently --- and no two seasons frame the colossal battle more perfectly than 2003 and 2004. Now, with incredible energy and access, leading sports columnist Mike Vaccaro chronicles the history of the greatest rivalry in sports, and the two stunning American League Championship Series that define a century of baseball. EMPERORS AND IDIOTS is as lively, fascinating, and raucous as the teams themselves --- a must-have volume for any Yankees or Red Sox fan.